This article in Psychology Today attempts to address some of the evolutionary and biochemical reasons for why this is so. But I want to address what it means, as an artist, to gaze upon one of the most beautiful creations in the Universe and then translate that beauty into an image which can then evoke the same or similar emotions in those who view our paintings. I consistently refer to what I call “shorthand or stick figure” versions of everyday life experiences and objects. For instance, I can say to you, “Hand me that coffee cup over there, the one with the blue handle,” and you’ll know exactly what I mean. I didn’t need to describe any real characteristics of it in order for you to know what I was asking for. But if I said, “Paint me a beautiful image of that coffee cup, the way the light strikes it as it filters through the window,” all those shorthand versions like “coffee cup” and “blue handle” are out of said window. This is because you shift into an entirely different part of the brain that sees only abstractions of reality. You can’t really paint a coffee cup, now can you? You have to see it as an arrangement of abstract shapes, all unnamed, that fit together to form the image of a coffee cup with a blue handle. You could even title your painting, “Coffee Cup with Blue Handle,” but you can’t really paint that. You have to be able to back up and see it for what it really is optically if you have any hope of rendering it in two dimensions as paint on canvas. You might say you have to become a different person in order to successfully paint a coffee cup, or at least an image thereof. So, how does that apply to painting flowers? 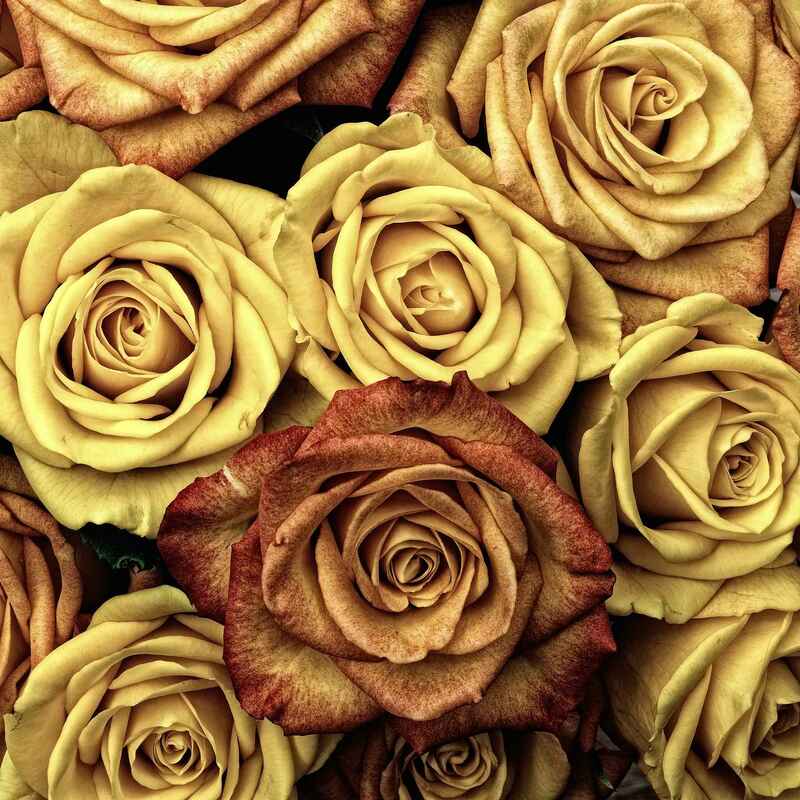 Can you stand in awe of a beautiful bouquet of roses, stimulated to produce dopamine, oxytocin, and serotonin, (making us happy) as the article cited above suggests, and still hope to successfully “tame” your subject into visual submission? Does the lion tamer stand in awe and fear of the lion, or does she find a quiet, serene place within the mind where she understands the kind of respect and ability to listen to and respond to the animal in a way that will elicit the kind of behavior she is looking for? This kind of “whisperer” mentality is what is required in order to “tame” a bouquet of roses into a beautiful, accessible image that is capable of evoking the kind of depth of emotion that the flowers themselves call forth.